It had the most ornate skull of any known dinosaur. 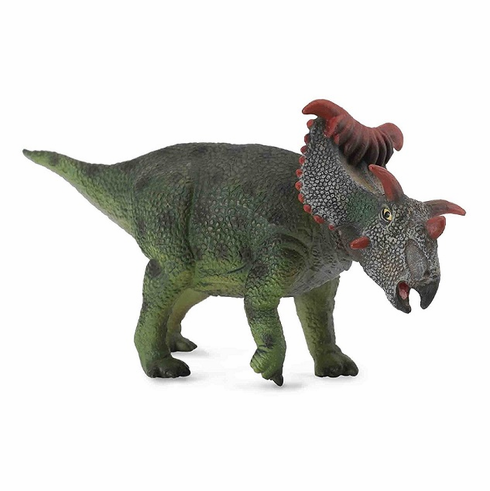 This CollectA Kosmoceratops measures approximately 2.5 inches tall. Part of the Dinosaur Series by CollectA. Hand Painted.